THESE THREE ARE GOING TO BE ALOT OF FUN AT THE HOLIDAYS. 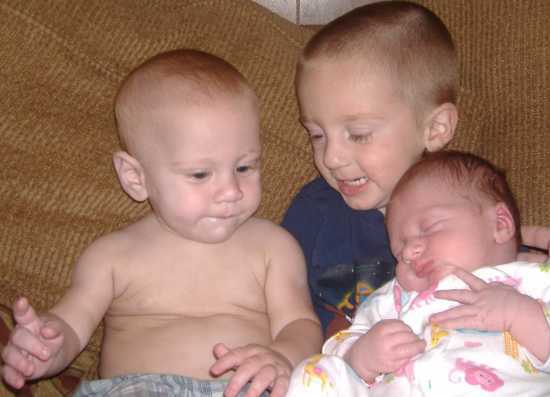 MASON WILL BE ALMOST THREE, COREE A FEW MONTHS OLD, AND LAYTON WILL BE ALOMOST ONE. THEY ARE GROWING SO FAST. LAYTON IS THE SON OF CAMARON AND KRISTA EARLEY. COREE AND MASON ARE THE CHILDREN OF DARRIN UNDERWOOD AND CASEY REEVES.